Download print and bring with you to the show $40. Or Pay Online NOW! Using PayPal. $40 to show, trucks enter at 7am – show ends by 3pm..
Spectators admission $10 a carload. 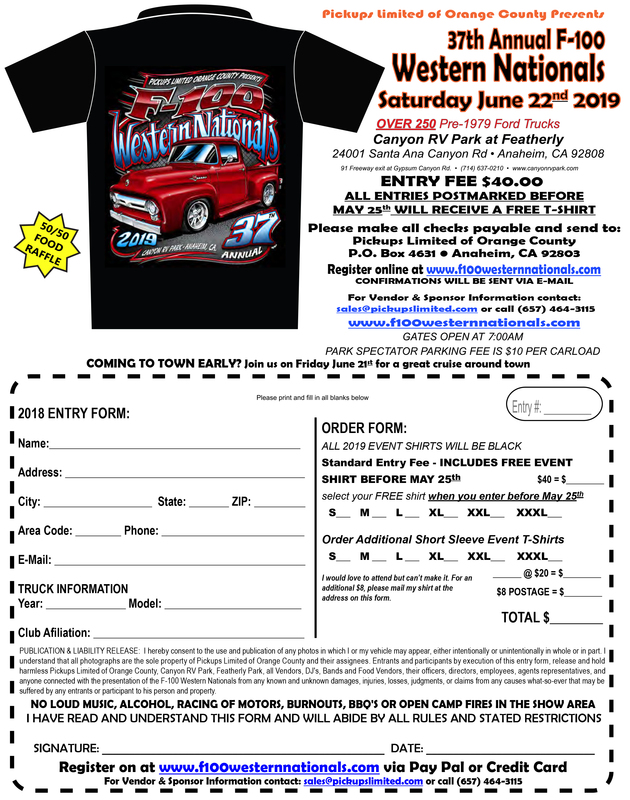 The largest Classic Ford Truck show on the West Coast. The OC Chapter of Pickups Limited presents this show each year. All of our members volunteer their time to make this a great show lead by Committee. The venue is located in Anaheim Ca. and the trucks park on the grass under the shade of trees. Mid Fifty will be at the show. Order your parts and pick them up at the show!